These eight short stories are works of fiction but reflect the author's real personal experiences while undergoing compulsory military training during his youth in apartheid South Africa. The stories are all based on real events but the characters are the products of creative imagination, however rooted in reality they might be. 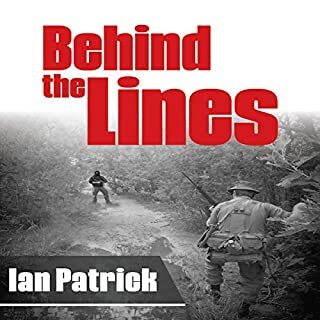 Listeners will enjoy a range of humour and unusual incidents - frequently hilarious - along with perceptive insights into the trials and tribulations faced by a young man seeking an identity in a confusing world of military discipline and rigid conformity. Four high-octane crime thrillers, each critically acclaimed as separate publications, now collected in a set. Hundreds of five-star reviews of the individual volumes testify to their reputation as action-packed thrillers steeped in authenticity and plausibility, reflecting the real world of police encounters with the dark world of crime. What made the experience of listening to The Ryder Quartet the most enjoyable? Very scarily like real life in that country. The news each day seems to be uncannily like what is described in this and other books from South Africa. What other book might you compare The Ryder Quartet to, and why? The Bourne trilogy comes to mind because of the action and the evil forces ranged against the good guys. What about Ian Patrick’s performance did you like? Nice and easy, no fuss. He doesn't do the women so well. But the men are well done. Very sad in places and very funny in places. What did you like most about The Ryder Quartet? The four stories make a very good overall tale. They are well connected without any false cliff-hanging moments just to make you go and buy the next book. It is all plausible and very well researched in my opinion. The Girl with the Dragon Tattoo trilogy. Just as good. Thrilling and believable. He does the accents well without turning it into a whole melodrama. There are indeed lots of moments where it is very sad and also very funny at parts. I read one of the books in the quartet last year. It was great to read/listen to all of them in sequence. 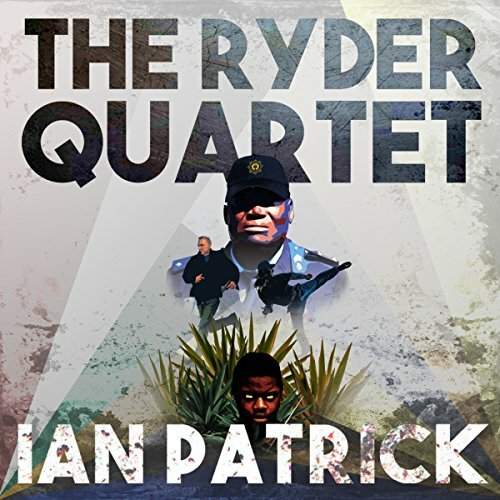 Would you listen to The Ryder Quartet again? Why? 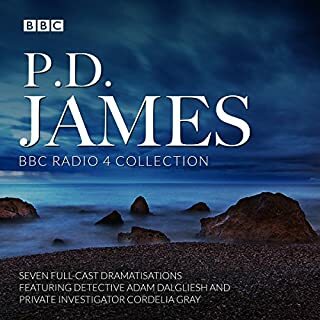 These were four police procedurals that I had expected to be British and rather in the mould of Colin Dexter or PD James. But they aren’t. They’re more exciting, in my view. Not the cool detached British detective looking quietly and relentlessly for clues, but the fisticuffs, kick-boxing, and violent engagement that one has come to expect from Hollywood detective stories. And? Guess what? I love that. The detectives were all good. It seems altogether more realistic to me that these detectives should be talking about their favourite rugby teams one minute, teasing each other the next, then engaging in rip-roaring action with the worst criminals you can imagine. What does Ian Patrick bring to the story that you wouldn’t experience if you had only read the book? Very nice to hear the accents properly done. 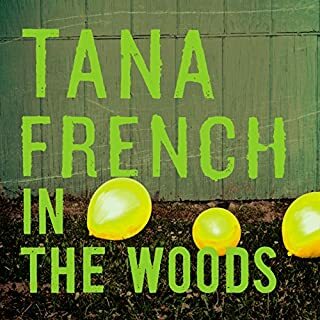 The accents in the audiobook help a lot, and contribute to a very colourful and realistic experience. The stories are gripping and believable, and I found myself very engaged throughout. I was very upset at a couple of the gruesome deaths, but it is all so real and believable. I laughed a lot, too. I thought it was very good, and each of the four stories seem to me to be rooted in the real world of contemporary post-democratic South Africa that has come to signal itself in the news items that I have seen in the form of blood-curdling murder and mayhem. If you could sum up The Ryder Quartet in three words, what would they be? I’ve read a couple of the individual stories in this quartet, but it was very good to go through them all in sequence from the beginning, and hear the author read them himself. The accents are good and – although I would prefer to have had a man and a woman’s voice to share the different genders between them – it was altogether very satisfying. The way the hunt for the evil criminal unfolds is expertly handled. By the time the great climax comes in the final chapter of the final book, one is ready for some big-action martial arts. The author doesn’t disappoint. I found the writing very well laid out, beautifully plotted, with lots of warm and believable human characters throughout. Most enjoyable. Some great discussions about rugby, too. Very funny. Have you listened to any of Ian Patrick’s other performances? How does this one compare? Yes, one of the volumes, but this is the best. Yes, for sure. 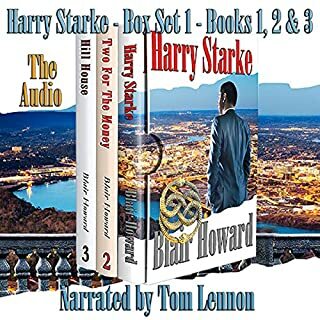 Four eight-hour audiobooks collected together in one audiobook makes for a lovely series (and reasonably priced, for four books) to listen to in the awful winter weather we are having. It's like curling up next to the fire with a comforting warm voice taking you through the depths of dark despair and then out the other side again. The whole series makes sense as a cohesive whole, although each story stands independently of the rest. It was lovely picking up the hints and connections between each of the stories. It's like a Lee Child novel, where you say "oh yes, he's referring back to the thing that happened in that book". Same thing here. It all connects so well. Nice and easy and different - a clear voice with good diction but not the standard mid-Atlantic accent we hear so often. No. Not possible. Not desirable, either. It is thirty hours all in all so I took over a week to listen to it. In the bath. On the bus. In front of the fire. Lots of red wine and warmth and an exciting series. The dog is amazing. What a character. I should mention that my dog sat with me in front of the fire and whined whenever the dog in the book got into trouble. Uncanny, that. Clever canines. These were top class thrillers. I was so intrigued by the accents and the local context. I have many friends in Yorkshire who know South Africa and many of them have referred me to the newspaper reports that come in day after day about the crime and corruption there. These thrillers certainly capture all of that. I found them most interesting and well written, and the reader was very good to do all the different accents so well. I loved this. The voice and speech were intriguing and very clear, and the accents and slang were well performed. 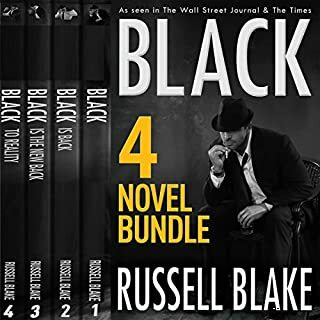 The four stories are well connected to one another but they are all self-contained crime thrillers. My favourite was the third one, Plain Dealing, but the final scene of the final one is also so well done. It was very moving, in fact. The characters are all rooted in real-world action and there's nothing out of place, for me. Perhaps too much swearing, but then that is what cops do. On second thoughts, my partner has just pointed out that in fact there are very few swear words and in fact in his view that doesn't reflect the real world of cops. Oh well. Anyway, it was thrilling to listen to, for both of us, and we thoroughly enjoyed them. The vocals are unusual and really quite captivating. It's good not to have mid-Atlantic English (either BBC or bland USA). The narrator does a fine job, though I would have wanted a woman to do the female voices. The book itself is superb. I like these cops and their attitude. The villains, too, are the worst kind. The final scene of the fourth book is very beautifully done. It is a classic denouement after an amazing journey through the rough world of the evil crime that inhabits this region. A very good book to listen to and to read. 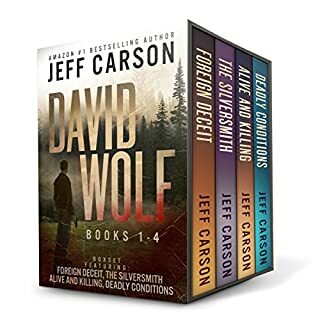 I enjoyed this collection of four thrillers. 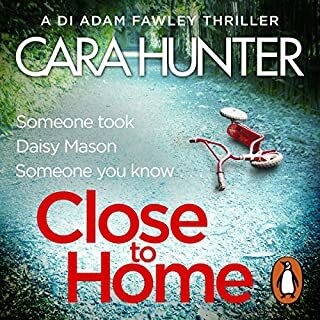 My interest in Africa was tickled by a couple of books I read last year but in this case I was specifically impressed with the author’s mastery of the craft of the action-packed crime thriller. It was very good, I thought. The plots of each of the four books are simple yet powerful, with the action driving forward to an inevitable powerful confrontation. The characters are believable and the whole thing seems well researched. Very entertaining, I thought. These four books in one collection are more like True Crime thrillers than Crime Fiction thrillers. I see that the author does his research with detectives and criminals and victims all being interviewed, and that he visits real crime scenes in the company of police officers. It sounds very much like that when one reads/listens to the books. The accents are really good (I've been to South Africa and I have lots of friends there), and the stories and characters are so life-like. My very best friend experienced a housebreaking and assault that is EXACTLY like that depicted in the second book. Another friend experienced an encounter with criminals that is frighteningly like that depicted in another of the books. All in all, the whole network of police corruption and criminal enterprise that is described, and the attempts by good cops to control things, is wonderfully reflected in these stories. I am very impressed, and I shall be reading more of this author. What was one of the most memorable moments of The Ryder Quartet? Like Fiona and Jeremy Ryder, my husband and I also fling ourselves in despair onto the lounge floor when The Sharks drop the ball five yards from the line. That was so brilliant. For me, the repartee between the cops and their spouses/partners was the most enjoyable aspect of the books. Married to a retired detective, who tells me that these books are UNCANNILY ACCURATE, I know a bit about the things cops have to deal with. I also know a bit about their passion for rugby. The discussions about rugby were hilarious (and very accurate, too, when it came to arguments about what happened in the world cup matches). I live in a suburb that is right at the heart of the action that is portrayed in these stories. It is quite nerve-wracking, in fact, knowing the features of the city and the topography of the surrounding beaches and sugar-cane fields, and hearing regularly about awful crimes that are committed in the same vein as those described in these books. I listened with rapt attention to the characters and their adventures. We loved listening to these stories. They are so true to life. Thirty-something hours of audiobook action. What's not to like? OK, there's a little bit of slowing down at one point in the first book, to get readers and listeners apprised of the facts they need to follow the action, but then it soon bursts back into life. I thought all four books were really good. I gained insights into life in a province I don't know that well but that I certainly do see a lot of in the media. Downright awful criminals. Here they get their come-uppance, at least to some extent. But what's especially good is the cultural value I gained from listening to these books. I learnt a lot about police work and camaraderie and also about violent crime. And human nature. Good plot, well written, well narrated. The devilish weapon right at the beginning - about thirty pages into book one - is a chilling moment. But then there are many more such moments. Like the attack on a family in book four. Maybe the best of all is the final c hapter of book four when Ryder goes on the attack. Which character – as performed by Ian Patrick – was your favorite? The two Afrikaans detectives Koekemoer and Dippenaar ("Koeks 'n Dipps") are a scream. The attack on the dog at the end is really moving. Good writing, good speaking, relevant and up-to-date drama. I liked it a helluva lot. I couldn't believe how totally absorbed I was in this over the course of a week, listening every night. The fact that the murders, events, mayhem and corruption all take place within a mile or so from where I live made it especially fascinating. But it wasn't just that. 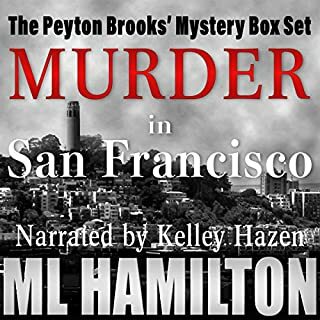 The stories are all so well structured and the atmosphere was so well created that I thought I was back in the old days when my family sat with ears glued to something called &quot;Squad Cars&quot; on the radio in South Africa (&quot;They prowl the empty streets at night...&quot;). The characters are so entertaining. The villains are - well - villainous, and the detectives are just like people I know and knew in the old days. I loved these stories and they all make for an interesting complete cycle, even though they are separate stories. The narrator was dark and mysterious, which was well suited to the narrative. 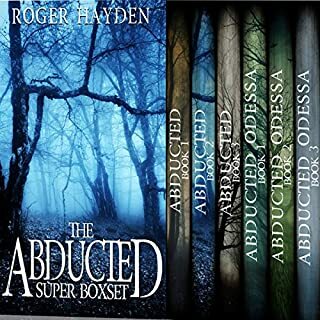 Would you consider the audio edition of The Ryder Quartet to be better than the print version? I preferred the text, to be honest. The narration was good but I loved being drawn into my imagination while reading. The clash between good and evil against a background of whether justice is suited to ther worst kind of devils. The attack on innocent people was very upsetting. Very accurate and true to life. Both are good. They were gripping and enjoyable to listen to and most of all they reflect the reality around this place where I live. The characters are entertainingly real and believable, even the criminals: they are funny when drunk, evil when sober, and dangerous all the time. The cops are funny and witty and tease each other mercilessly while going after the bad guys when duty calls. The whole set of stories is very entertaining and the narration is particularly good. The reader has a mysterious voice and is always clear and precise. Have you listened to any of Ian Patrick’s other performances before? How does this one compare? There are a couple of gruesome murders but generally it was a pleasure to listen to. These books are true to life and brilliant to listen to in the car or in the bath (which is where I spent most of my time with them), although I could have done with no swearing (but then I suppose that’s what cops and robbers do in real life), even though it was sparingly used. But what a thrill it was to listen to all of these books one after another. 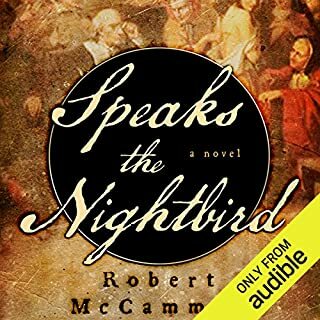 Where does The Ryder Quartet rank among all the audiobooks you’ve listened to so far? Very good. Among the best. I liked the South African accent. He could have done some of the women better but he does a really good job on the whole. Good cops, very believable, very true to life, and bad criminals - sadly, also true to life. What does Ian Patrick bring to the story that you wouldn’t experience if you just read the book? He obviously knows his stuff. Maybe he's a cop himself. Both. Lots to like here. I have a friend in Durban who is a real detective. I listened to a lot of this collection in his company and his conclusion is that it must be written by a detective. The facts and details are true to life, and every detail of behaviour, the weapons, the forensics, etc. are all on the nail, according to my colleague. He didn’t listen to all of it because he had to go back home from holiday before the end. But I did. And I enjoyed the experience. It was better than a lot of the stuff we see on television. This is the real world of policing and it is sensational in parts and very thought-provoking throughout. The battle between good and evil underlies it all. Cry, beloved country: this kind of crime is all around us, and thank goodness for cops like these detectives. The plotting is very good, keeps you involved and excited. Though I must admit the best is kept till last. The very final scene of all is brilliant. First time I heard him. 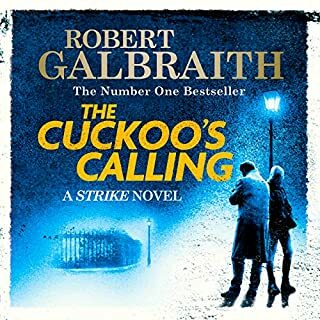 He narrates very well, but perhaps a bit rushed at times and could distinguish the characters from one another a little better. Different, though. It's good NOT to have an American or British accent. Nope. Four stories all need their own session. Well worth listening to, and reading the text is a bonus because of the accents and slang bits. My first one. Very good, I thought. The plot is very good in each episode. The four thrillers were immensely satisfying. The second was perhaps not as good as the other three, but I have to say that all together they make a compelling set. No. First time for me. Yes and no. Thirty hours is a long time. But each of the books was good to listen to - each over two or three consecutive nights. The reality of crime in the area where I live made this particularly satisfying for me. Without spoiling anything, although the criminals win some, the cops also win some. That is the name of the game in the real world. For me, I want to levy serious primitive justice on these awful thugs. The fact that the cops show some real metal in dealing with them is what I particularly like. But more than that, the way the characters are created, the way that light-hearted relationship bantering is interwoven with fast-paced action and thrills, makes this a thoroughly good entertaining thirty hours of listening pleasure. Worth sticking with the first couple of volumes. Narrator gets better as he goes, but relies too much on tempo and volume rather than more subtle voice inflection. Transitions sometimes too fast so it is difficult to recognize who is supposed to be speaking, thus can be a bit confusing. Otherwise a good story in a new setting. Listened to all four volumes within one week. This is an accurate account of the crime and corruption faced by people living in Durban, South Africa. The crimes are truly awful and corruption exists at all levels. The story is engaging and the characters well developed. I was quickly drawn into their lives and found myself caring about them. Ian Patrick clearly understands the characters, both good and evil, and captures their wide variety of accents with ease. 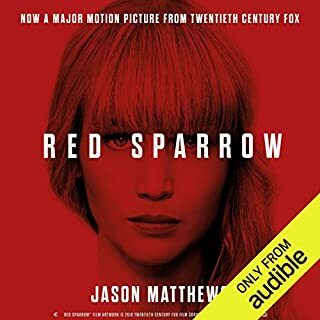 I highly recommend the audible version.